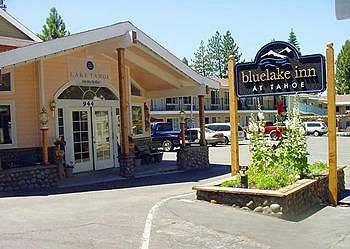 Features: The Blue Lake Inn Lake Tahoe keeps you well within your budget and gives you cozy accommodations to boot. 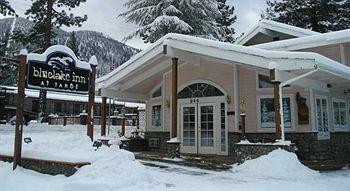 Lake Tahoe Blue Lake Inn will put you in a good mood each morning with delicious free breakfast. Why We Stay: The Blue Lake Inn Lake Tahoe won't cost you an arm and a leg. Forget that! 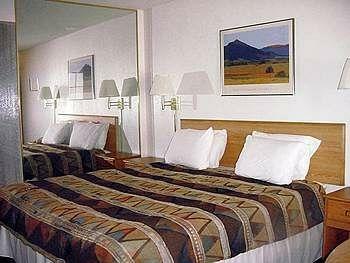 In addition to its great rates, the Lake Tahoe Blue Lake Inn offers amenity upon amenity to keep you happy and comfortable. The Prices: Lake Tahoe Blue Lake Inn knows that sometimes you just want to save a buck so you can spend that hard-earned cash on activities rather than accommodations. With this in mind, Blue Lake Inn South Lake Tahoe makes its prices definitely affordable so that you, the savvy traveler, can enjoy much more of the sights to see and things to do in Lake Tahoe. The Breakfast: Blue Lake Inn Heavenly Village fills your belly with nutritious goodness each morning. Your complimentary morning meal comes with Starbucks coffee. The In-Room Amenities: Ask for that takeout box when you eat at restaurants. You can keep your leftovers in your in-room refrigerator and heat them up in the microwave when you want a snack. Lake Tahoe Blue Lake Inn wants you to feel like you're at home during your stay. Inside Knowledge: The Blue Lake Inn Lake Tahoe is only steps away from Heavenly Gondola and Heavenly Village. You won't even have to rent a locker for your things at Heavenly Ski Resort. You can walk from Blue Lake Inn South Lake Tahoe to Heavenly in your ski boots. 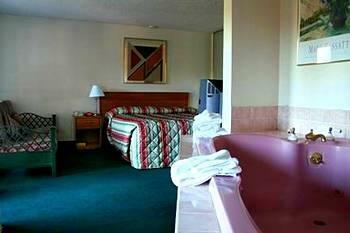 Do Soak In The Tub: Make a visit to the jacuzzi every day of your stay. Your muscles will feel so relaxed after a nice soak. 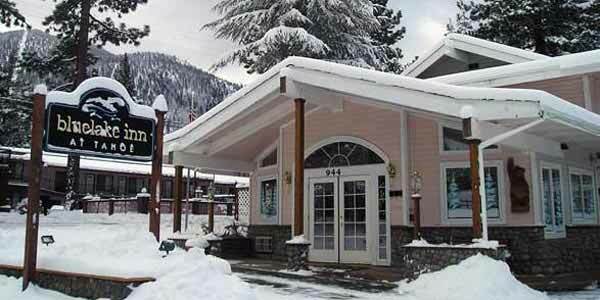 Do Chow Down: The Blue Lake Inn Lake Tahoe serves you a yummy breakfast each morning. Don't Pay For Parking: You won't have to shell out any bucks whatsoever to park at The Blue Lake Inn Lake Tahoe. Don't Use Up Your Data Plan: Get onto the Internet for free with The Blue Lake Inn Lake Tahoe's super convenient and free WiFi. For the price, it’s a steal! In my opinion, this is a very affordable hotel and its in a great location. It’s not the Ritz or anything, but it works. It’s more motel style accommodations, but the rooms aren’t bad at all. They’re a little older, but they work for me just fine. The thing I really didn’t like about it was that the beds were super hard. I hate sleeping on a hard bed! The best part about it is the location. You can just walk right to the gondola to ski at Heavenly, which is so convenient! It’s also in walking distance to a bunch of stores, restaurants and even a grocery store. You could even walk to the casinos if you really wanted to. If you’re on a budget, then I would definitely recommend this place. But if you’ve got cash to kill, then look at some other places first. Unwind on this room's amazing king-size bed. If you're the type to kick and punch things in your sleep, you want to give yourself serious space. This king-size bed is the answer for you and your travel companion sleeping beside you. If you'd like to soak in private rather than in the inn's public hot tub, you can now sing praises - this room has its own spa tub! 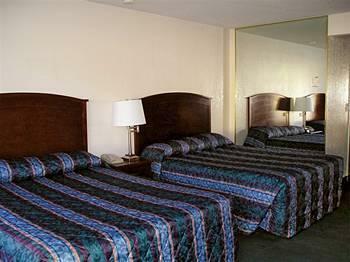 Perfect for you and your family, the standard room comes with a whopping 2 whole beds. Lay your sweet head down and dream away on these supportive beds. Your room comes with free Wifi so you can tell all your friends on Facebook what you're up to. In addition to the convenient Internet service, your room also comes with a sizable TV that will entertain you with cable channels and family HBO.